The global LiDAR market was valued at USD 445 million in 2017 and is anticipated to grow at a CAGR of 18.4% during the forecast period. LiDAR is a remote sensing method used to measure range and distance with the help of a pulsed laser. LiDAR systems enable examining of natural and manmade environments with higher accuracy, precision, and flexibility. The components of LiDAR usually comprise laser, scanner, and specialized GPS receiver. LiDAR systems are categorized into topographic and bathymetric. Topographic LiDAR systems use a near-infrared laser to map the land, whereas bathymetric Lidar systems use water-penetrating green light to additionally measure seafloor and riverbed elevations. LiDAR is used in a wide range of applications such as defense and aerospace, transportation, agriculture, civil engineering, mining, and archaeology among others. The increasing demand for 3D imaging technology, and automation of LiDAR Systems drive the growth of the LiDAR market. The growing demand for automotive safety systems has increased the deployment of LiDAR systems in the automotive sector. The rising development of autonomous vehicles is expected to promote market growth during the forecast period. Other factors driving the global LiDAR market include technological advancements, growing adoption of aerial LiDAR systems, and government support and initiatives. The increasing applications of LiDAR systems, and environmental concerns have increased the adoption of LiDAR. Growing demand from emerging economies, and increasing adoption from defense sector are factors expected to provide numerous growth opportunities in the coming years. The global LiDAR market is segmented on the basis of component, installation, range, application, and geography. Based on the component, the market is segmented into Navigation and Positioning Systems, Laser Scanners, Cameras, and others. Laser Scanners accounted for the highest share in the global LiDAR market in 2017. The installation segment is categorized into ground-based, and airborne. The ground-based LiDAR systems dominated the global market in 2017. Lower costs associated with ground-based LiDAR systems coupled with lesser stringent regulations drive the growth of this segment. The range in the global LiDAR market include Short Range LiDAR, Medium Range LiDAR, and Large Range LiDAR. The applications included in the report are Urban Planning, ADAS & Driverless Cars, Corridor Mapping, Environment, Engineering, Exploration, and others. Corridor mapping segment dominated the global market in 2017 owing to rising demand from railways and roadways. 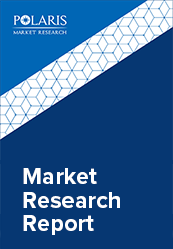 The global LiDAR market report comprises a detailed geographic distribution of the market across North America, Europe, Asia-Pacific, Latin America, and MEA. North America is further segmented into U.S., Canada, and Mexico. Europe is divided into Germany, UK, Italy, France, and Rest of Europe. Asia-Pacific is bifurcated into China, India, Japan, and Rest of Asia-Pacific. North America accounted for the largest share in the LiDAR market in 2017. The primary factors driving market growth in this region include rising demand from the defense sector. Increasing development of autonomous vehicles, and stringent government regulations regarding vehicular and road safety also supports market growth in this region. The key players in the market are launching new products to meet the growing customer needs. In addition, the leaders in the market are acquiring and collaborating with top companies in the market to enhance their offerings in the market and expand their customer base. The LiDAR market is highly competitive with the presence of a large number of small and large vendors. The leading players in the market include Trimble Navigation Limited, Faro Technologies, Inc., Quantum Spatial, Inc., Velodyne LiDAR, Inc., Sick AG, Teledyne Optech, Riegl Laser Measurement Systems, Leica Geosystems Inc., GeoDigital, and Beijing Surestar Technology.